A team of astronomers from the University of Washington has created a “habitability index for transiting planets” to help guide the ongoing search for life beyond Earth. Powerful telescopes are coming soon. Where exactly shall we point them? Astronomers with the University of Washington’s Virtual Planetary Laboratory have created a way to compare and rank exoplanets to help prioritize which of the thousands discovered warrant close inspection in the search for life beyond Earth. The new metric, called the “habitability index for transiting planets,” is introduced in a paper accepted for publication in the Astrophysical Journal by UW astronomy professors Rory Barnes and Victoria Meadows, with research assistant and co-author Nicole Evans. The Kepler Space Telescope has enabled astronomers to detect thousands of exoplanets, those beyond our solar system — far more than can be investigated one by one. 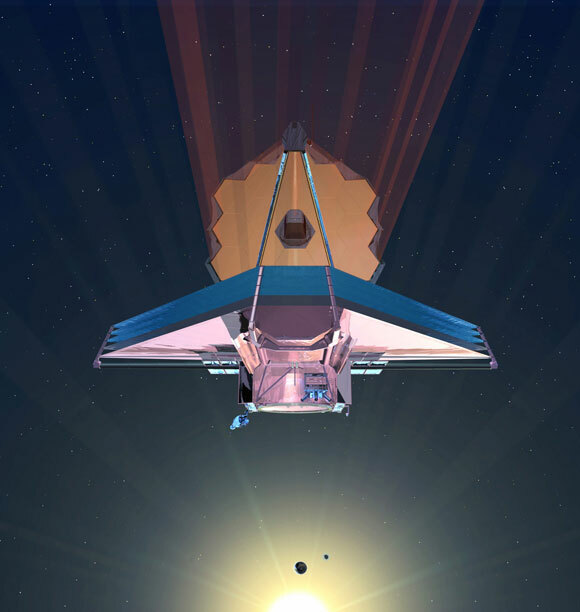 The James Webb Space Telescope, set for launch in 2018, will be the first able to actually measure the atmospheric composition of a rocky, possibly Earth-like planet far off in space, and so vastly enhance the search for life. Astronomers detect some planets when the worlds “transit” or pass in front of their host star, thus blocking some of the light. The Transiting Exoplanet Survey Satellite, or TESS, is scheduled to launch in 2017 and will find many more worlds in this way. But it’s the Webb telescope and its “transit transmission spectroscopy” that will really be able to study planets closely to hunt for life. But access to such telescopes is expensive and the work is methodical and time-consuming. The Virtual Planetary Laboratory’s index is a tool to help fellow astronomers decide which worlds might have the better chance of hosting life, and so are worthy of focusing limited resources on. Traditionally, astronomers have focused the search by looking for planets in their star’s “habitable zone” — more informally called the “Goldilocks zone” — which is the swath of space that’s “just right” to allow an orbiting Earth-like planet to have liquid water on its surface, perhaps giving life a chance. But so far that has been just a sort of binary designation, indicating only whether a planet is, or is not, within that area considered right for life. The new index is more nuanced, producing a continuum of values that astronomers can punch into a Virtual Planetary Laboratory Web form to arrive at the single-number habitability index, representing the probability that a planet can maintain liquid water at its surface. In creating the index, the researchers factored in estimates of a planet’s rockiness, rocky planets being the more Earth-like. They also accounted for a phenomenon called “eccentricity-albedo degeneracy,” which comments on a sort of balancing act between the a planet’s albedo — the energy reflected back to space from its surface — and the circularity of its orbit, which affects how much energy it receives from its host star. The two counteract each other. The higher a planet’s albedo, the more light and energy are reflected off to space, leaving less at the surface to warm the world and aid possible life. But the more noncircular or eccentric a planet’s orbit, the more intense is the energy it gets when passing close to its star in its elliptic journey. A life-friendly energy equilibrium for a planet near the inner edge of the habitable zone — in danger of being too hot for life — Barnes said, would be a higher albedo, to cool the world by reflecting some of that heat into space. Conversely, a planet near the cool outer edge of the habitable zone would perhaps need a higher level of orbital eccentricity to provide the energy needed for life. 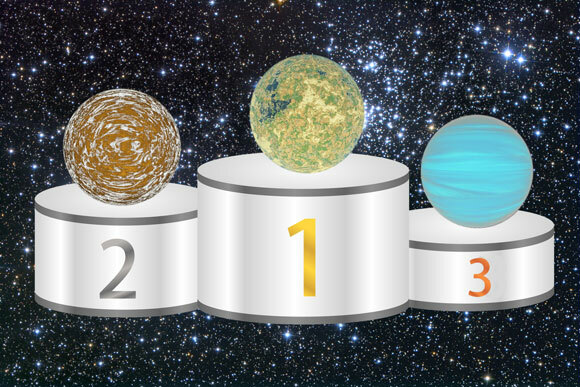 Barnes, Meadows and Evans ranked in this way planets so far found by the Kepler Space Telescope, in its original mission as well as its “K2” follow-up mission. They found that the best candidates for habitability and life are those planets that get about 60 percent to 90 percent of the solar radiation that the Earth receives from the sun, which is in keeping with current thinking about a star’s habitable zone. The research is part of the ongoing work of the Virtual Planetary Laboratory to study faraway planets in the ongoing search for life, and was funded by the NASA Astrobiology Institute. “This innovative step allows us to move beyond the two-dimensional habitable zone concept to generate a flexible framework for prioritization that can include multiple observable characteristics and factors that affect planetary habitability,” said Meadows. Be the first to comment on "A ‘Habitability Index’ to Help Guide the Search for Life Beyond Earth"